In discussions with our client, Conagra, we discovered that they were still fighting negative stigmas around school lunches, in particular the idea that the food was tasteless and unhealthy, and food service workers were old and mean! 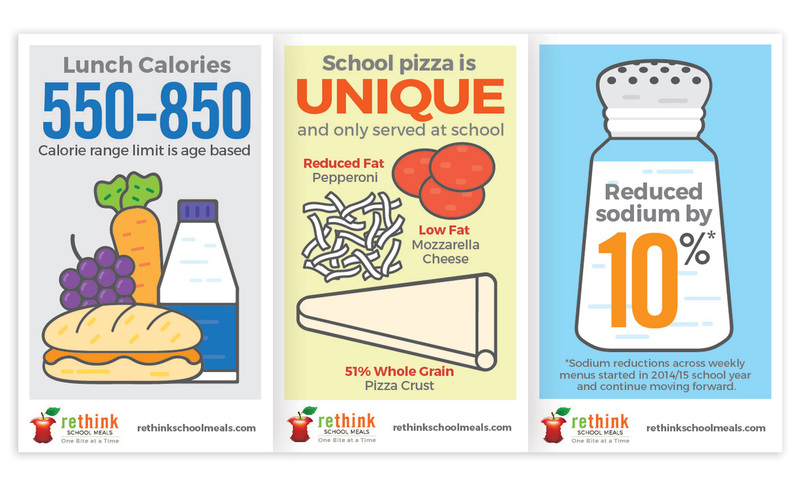 This perception of the school lunch experience needed to be completely transformed. We worked with Conagra Foodservice to create a strategic rebranding of the school lunch experience that would also position the brand as a valuable consultant to schools across America. 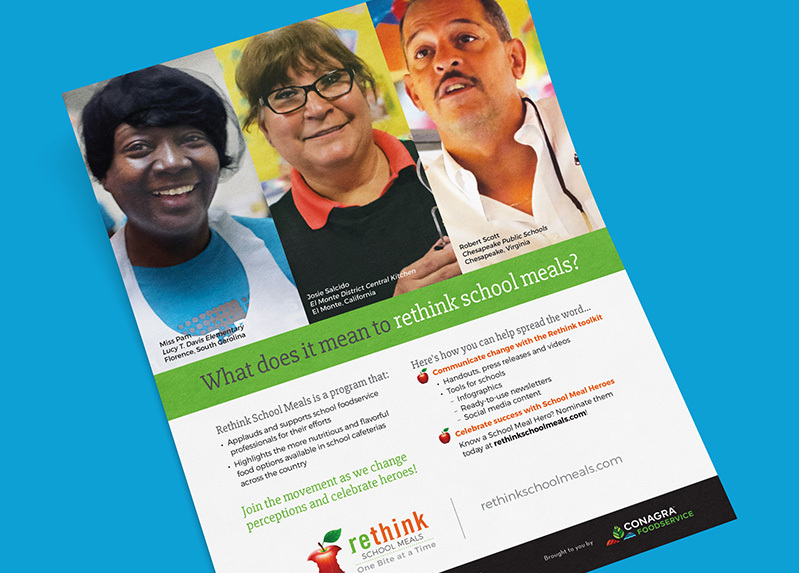 Our team underwent an extensive research and ideation process, and the Rethink School Meals program was born. 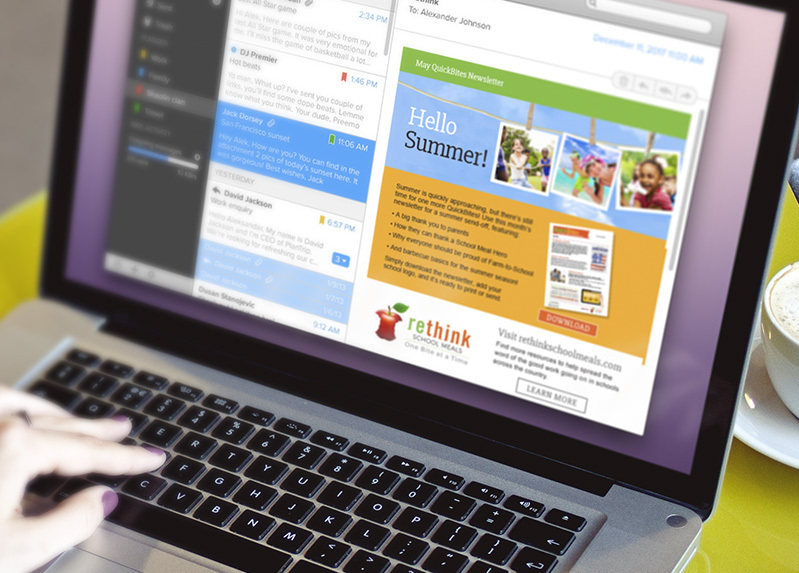 Our agency created the new mark and tagline and the look and feel of program materials. 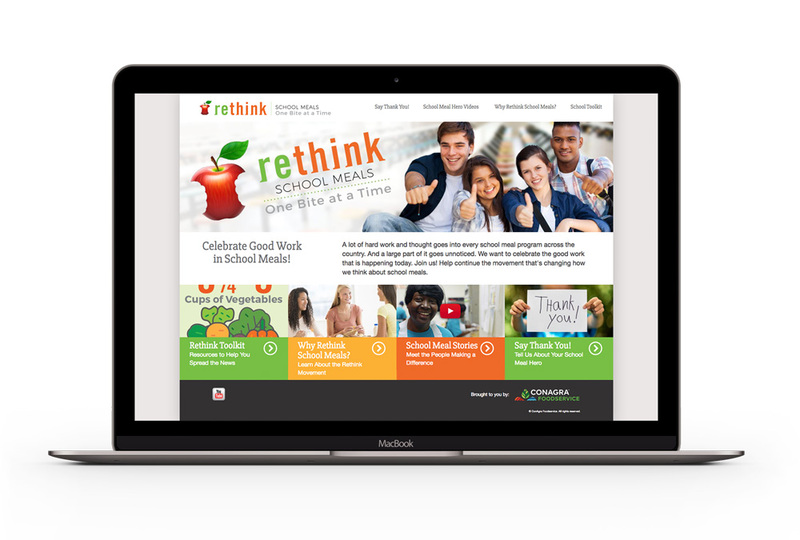 We launched a strategic campaign that included video assets, collateral, infographics, a branding toolkit and an email campaign promoting the School Meal Hero program. School Meal Hero program was launched to showcase stories of the local heroes who craft school meals. 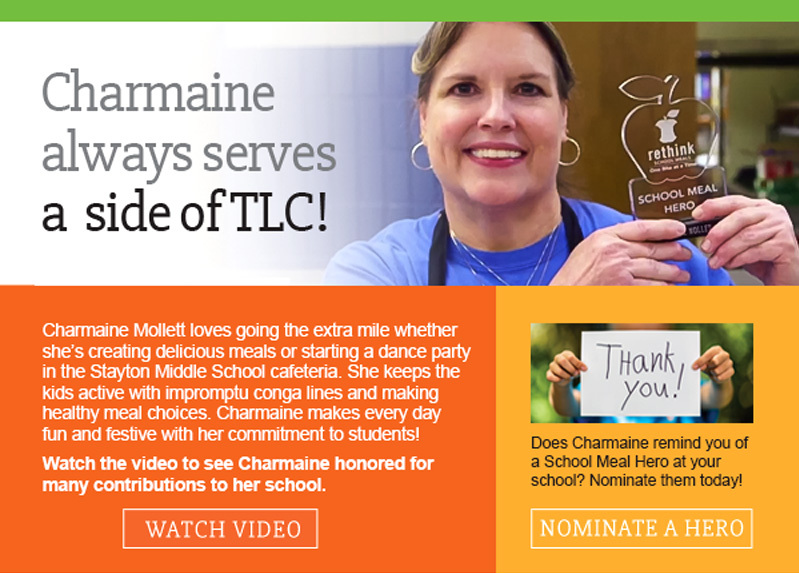 Schools and students are invited to nominate food service employees for the award. The program also shares positive stories of school nutrition via a regular newsletter. We created a toolkit on the brand’s website that gives schools infographics and other materials they can use to get the message out to local parents. Since May of 2015, the School Meal Heroes program has received hundreds of nominations and the monthly newsletters have been downloaded 4,000 times. The videos for this campaign generated over 15,000 views on YouTube and 240 shares.